Spain holds special memories for me. I traveled through on my first ever European backbacking trip way back in 2000 (oh the memories! ), I was proposed to in Barcelona at beautiful Parc Guell…. ….we even took a family vacation there several years ago. 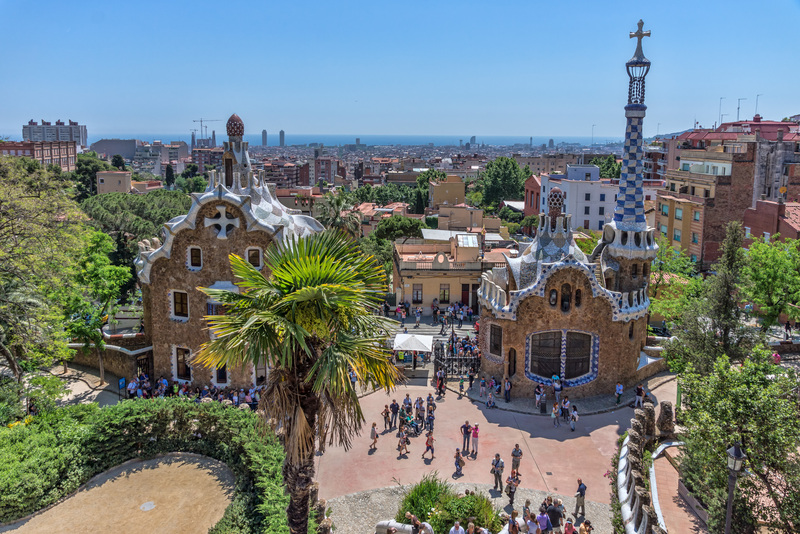 It’s beautiful, sunny, full of amazing and historical sights and is known for tapas (small bites) or pintxos (these tiny bites are often skewered with a toothpick). San Sebastian (my favorite Northern Spanish town, below) is where I sampled a ton of pintxos having visited there twice. Perched on a beautiful moon-shaped bay, San Sebastian is full of tiny alleys packed with small bars and restaurants. Starting around late afternoon the counters are spread with a delicious selection of small bites. My favorite was a combination of tuna and slivers of spicy peppers. Back here in DC we have some great tapas spots, Estadio being one of my favorites. The first time we went we had this amazing vegetable corn tapas dish that sadly is no longer on the menu. We went back a few months later to a packed restaurant and were seated directly over the kitchen. Pure heaven. I ordered the corn and paid close attention to the chefs as they cooked. Melt butter in a very hot cast iron skillet. Throw in corn and cook until it begins to develop some color. Throw in some salt and pepper. 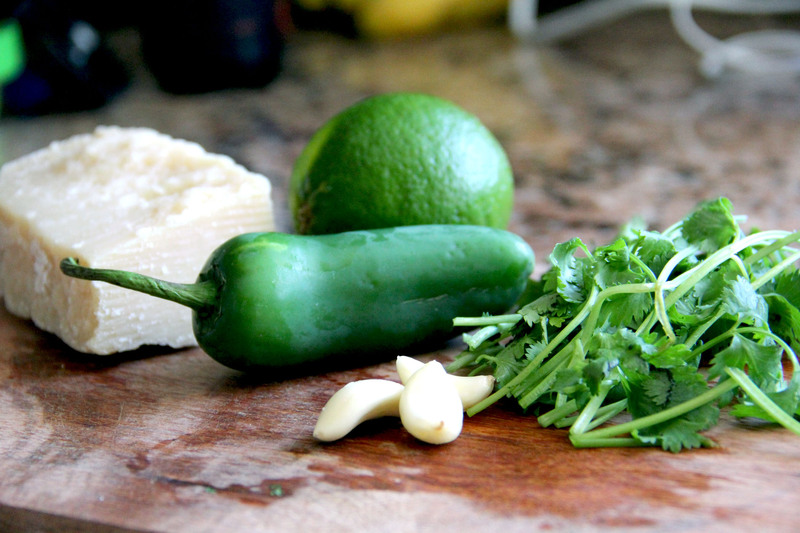 Next, add diced jalapeno. Continue to stir periodically as the corn continues to saute. 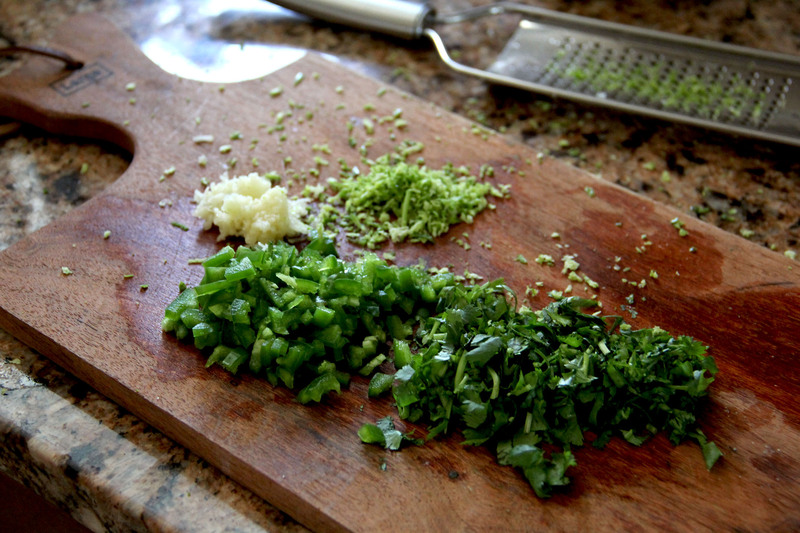 Add garlic and lime zest and cook until corn has developed some browned edges. 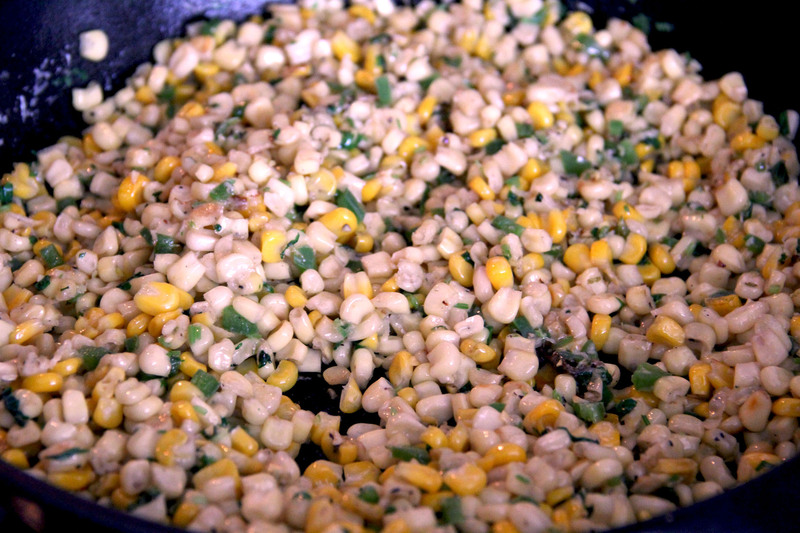 Lastly, throw in chopped cilantro and give the corn a couple stirs in the pan. Once all ingredients have incorporated turn off heat and toss cheese on top. Give it another stir or two to melt the cheese and cover all the corny bits and you are done! Super simple, super tasty. 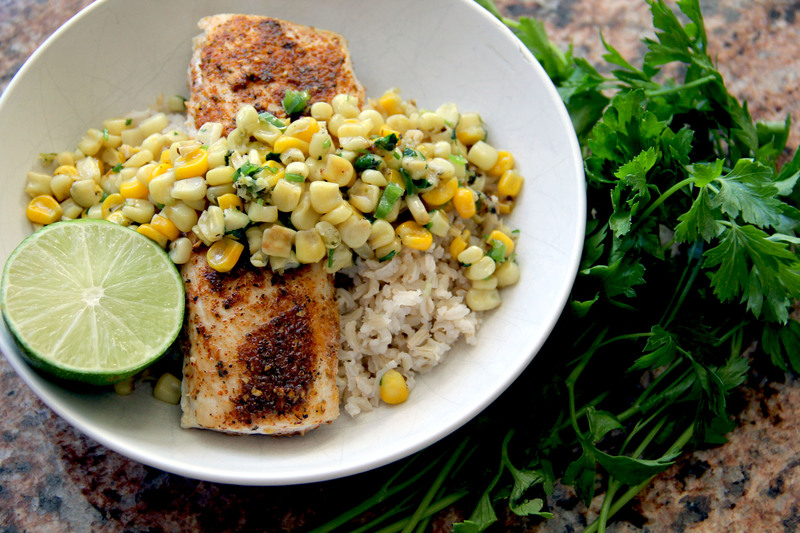 This time around I served it with brown rice and mahi mahi. I made a sauce of greek yogurt, fresh lime juice, honey, garlic, siracha and cilantro which I tossed on top of everything (not pictured). Great for an easy weeknight side, enjoy! Next I’m Sick! What’s for Dinner!?! 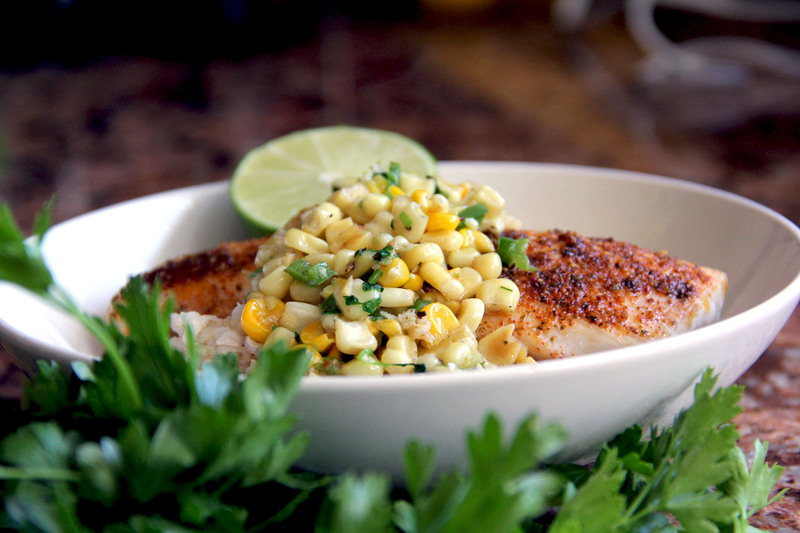 Another great corn recipe, just in time for the summer bounty coming in soon! Hope you enjoy it! Feel free to adjust ingredients to your liking! It turned out perfect I just skipped the jalapeno. I have been enjoying using my cast iron skillet lately and this recipes will be on my list.